The Boeing Model 307 Stratoliner has turned 75 years old. Only 10 were built, one of which was purchased by Howard Hughes, but the Stratoliner ushered in the modern era of commercial aviation. The Stratoliner grew out of a couple of different Boeing designs, starting with all-metal Model 247. That aircraft was quickly surpassed by the legendary Douglas DC-3. Fortunately, Boeing had developed the Model 299, a four-engine bomber that would later become the also-legendary B-17 Flying Fortress. The success of the 299 led Boeing to combine the wings and tail surfaces of the B-17 with a cigar-shaped fuselage specifically designed to be pressurized. Its size, four engines, and long range were easy to market, but the addition of a pressurized cabin meant that the Model 307 could take passengers over 20,000 feet in the air, "above the weather." Hence, Boeing tagged the Model 307 as the Stratoliner. 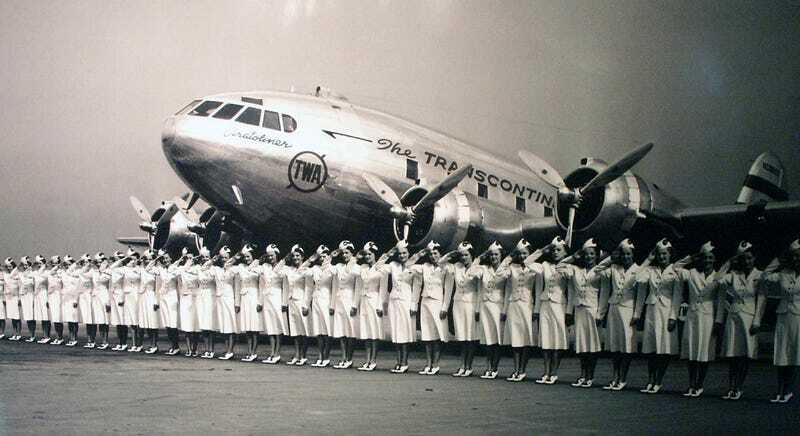 Pan Am and TWA both ordered the Stratoliner. Howard Hughes ordered one for his attempt at a world speed record. The first Stratoliner prototype took to the skies on its inaugural flight on December 31, 1938. Tragically, that aircraft and its 10-person crew would later be lost in a crash during a demonstration flight. Despite the technological advancements of the Stratoliner, it was short lived. World War II intervened, and Boeing turned its attention to manufacturing military aircraft for the war effort. Stratoliner production ended after the construction of just 10 aircraft. During the war, the finished Stratoliners were drafted into military service, making thousands of accident-free flights across the Atlantic, and serving as VIP transports.